Earlier, British enthusiast Ian Wilson, claimed to have found the MH370 crash site on Google Maps. However, a week after starting an actual search on the ground, he was forced to abandon it due the endeavour turning out to be too dangerous. 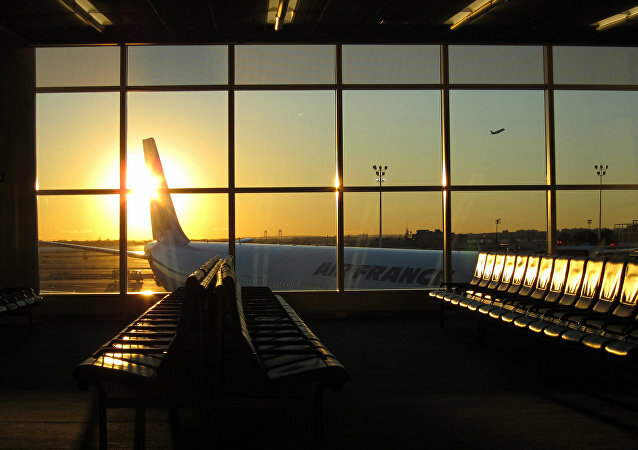 The plane was en route from Paris to Shanghai when the smoke appeared inside the aircraft. The picture was allegedly made less than three weeks after the airliner’s disappearance and shows an object located far away from the search area, which may have been a fragment of the lost plane. 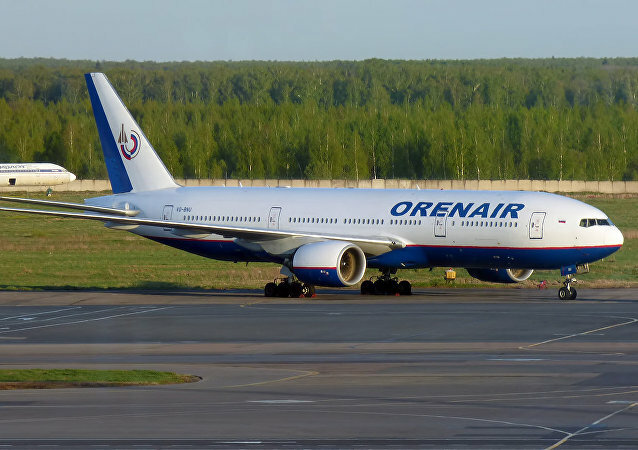 A Russian company, which specializes in transporting enormous items such as military and oilfield equipment, has signed a deal to buy $12 billion worth of cargo planes from Boeing. The planes will replace Volga-Dnepr Group's aging fleet of Antonov aircraft. 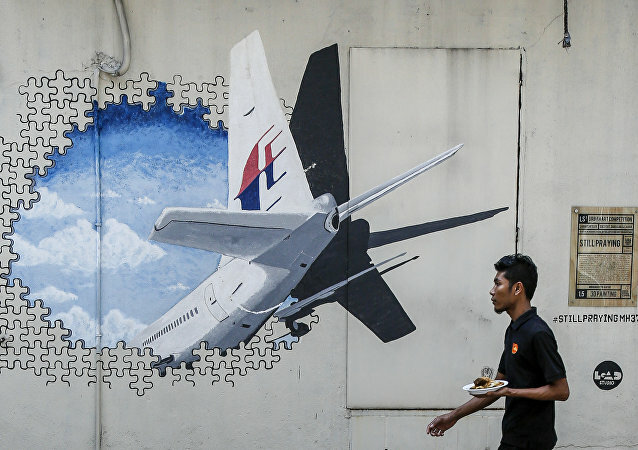 MOSCOW (Sputnik) - The Malaysian government could cancel its contract with the US Ocean Infinity company engaged in a search operation for the missing Malaysia Airlines Flight 370 (MH370), Malaysian Prime Minister Mahathir Mohamad said Wednesday. Despite quick a horrific footage, the pilots were able to safely land the plane. Malaysian Airlines flight 370 on route from Kuala Lumpur to Beijing disappeared in the sky over the South China Sea 40 minutes after take-off on March 8, 2014. Since then, all attempts to find the crashed plane have failed. Here is an inspiring story that proves we should never give up on our dreams. Anny Divya (30), a young and ambitious lady from India, gave wing to her childhood dream of becoming a pilot and courageously overcame obstacles in her life before she became the youngest female commander of the world's largest twinjet with Air India. An Indian airliner en route to London briefly lost contact with Germany’s air traffic controller, forcing the German Air Force to scramble two combat jets, fearing a rouge aircraft over its skies. Qatar Airways plane successfully landed in New Zealand’s Auckland after 16-hours-long non-stop flight, the airline said on Monday. 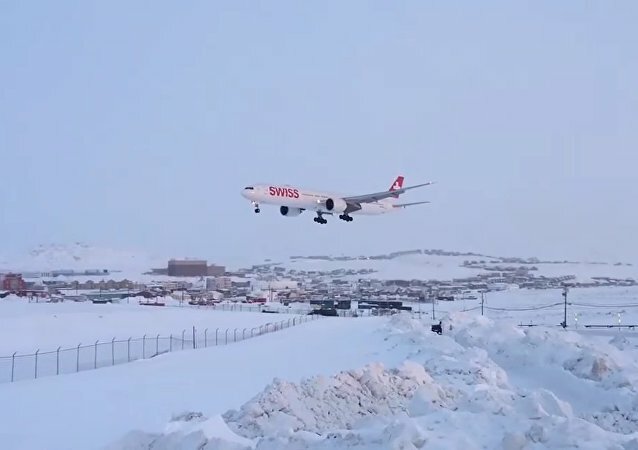 A Swiss International Air Lines plane was on its way from Zurich to Los Angeles when it suddenly experienced a technical problem and was diverted to the small Canadian city of Iqaluit. A panel of experts at the World Trade Organization (WTO) ruled on Monday that the United States' massive support for production of the Boeing 777X passenger aircraft is in breach of international trade rules, the European Commission said. Investigators searching for the debris of Malaysia Airlines flight 370 have admitted that they may have missed the wreckage, and need to go and re-examine some areas more thoroughly. The Indian Defense Acquisition Council's upcoming meeting is expected to take a final review of a number of critical defense deals that have been in limbo due to a number of reasons. Passengers praised the pilots who safely landed a Boeing-777 with 350 passengers after an engine fire, and later, a chassis fire. Fasten Your Seat Belt! Passenger Planes' Race Is Kicking Off! Good afternoon passengers. This is your captain speaking. You see that Boeing ahead of us? Their captain wants a race. So please fasten your seat belts. Why Should Dutch MH17 Investigators Look Closer at Russian Evidence? Experts explained Sputnik that Dutch investigators probing the MH17 crash in Ukraine should take into account research data provided by Russians that challenges some conclusions made in their last year’s report. 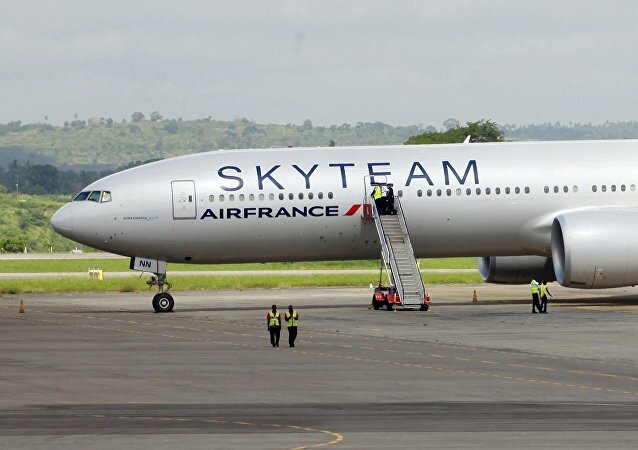 The incident whereby an Air France flight had to make an emergency landing in Kenya after a suspicious object was discovered on board was described as a "nasty joke" by Air France CEO Frederic Gagey on Monday.